Okay, I thought. 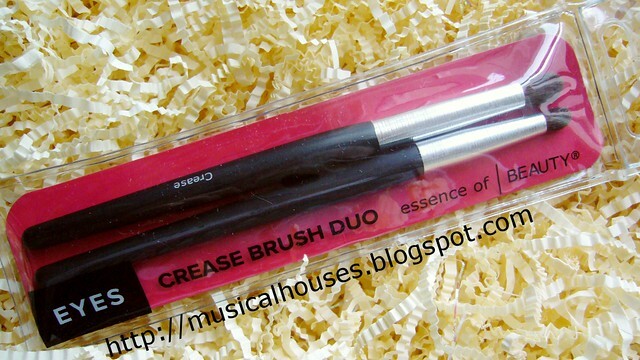 So they rejigged the brushes with cool black handles and loud red packaging and all. But same company, same name, same product right? So I bought two sets of the Brush Duos, hoping they would work the same magic as my original set. And I'm glad to say, for me, they are still the same! 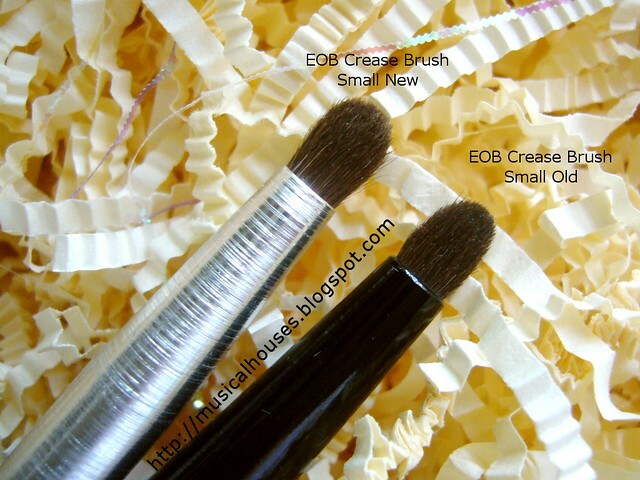 I received a few queries about whether the new brushes are different from the old ones, so here's a comparison. So here you go! For both brushes, the general difference noted was that the bristles on the new brushes were slightly longer, and slightly less dense. The type of bristles appeared to be the same, though. Now whether this change is a good thing or not would depend on what you've been using the brush for - in my experience, longer, less dense bristles make for better blending, but make the brushes less great at packing on colour. For the larger domed brush, my main use for this brush is really to blend out tight areas with little space (like my entire eye area, LOL - thanks, tiny eyes), so the new bristles work well foe me too. The brush head is still the same size, so it still fits tight corners, and the longer bristles make for slightly better blending. So I'm happy with the changes made to the brush. For the smaller brush, I tend to use this to apply colour to the outer V of my eye, and to other tight areas (e.g. inner corner of eyes). I don't really use this brush for blending. The longer, slightly sparser bristles don't really have much impact given how I use this brush - after all, I just want a brush that will apply colour in a precise manner. So I don't feel too much difference between the new and old brushes. 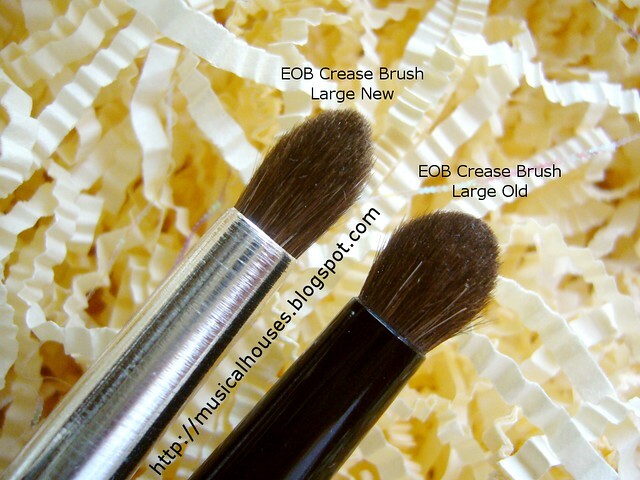 So, after this comparison, I feel like the new Essence of Beauty Crease Brush Duos are still as good as the old ones. Other than the differences in the bristles, the brush handles, despite the different colour, still to be about the same weight and size, so other than the bristles, functionally, not much has changed. Unless you're a super pro user (which I'm not), chances are you may not notice too much of a difference between the new and old duo sets. Glad you like both versions. They look nice to try. Liked the new version, its easy to blend on with make up. Thank you SO much for this post. I just hit up CVS today and did the exact same thing when I got to the EOB brush section. I bought the new black ones anyway, but was unsure how they'd compare. Looking forward to their maiden voyage for my date tomorrow :) Thanks!!! !